The Future of Publishing. An original podcast series. In this episode of The Future of Publishing, Mr. Coker shares his thoughts and strategies on evening the playing field for independent authors. He gives his prescient predictions on where the self-publishing phenomenon is headed. Without holding back, he voices his strongly felt views on the dangers to book publishing engendered by the ever-increasing industry consolidation, especially at retail. Mark Coker Mark Coker is Founder, CEO and Chief Author Advocate of Smashwords, the leading ebook distributor serving indie authors, small presses and literary agents. Since its 2008 launch, Smashwords has been used to publish close to half a million ebooks by 130,000+ authors. In June 2012, Forbes profiled Mark in a feature story titled, Apple's Biggest (Unknown) Supplier of E-Books. In both 2013 and 2014, Forbes Magazine named Smashwords one of America's Top 100 Most Promising Companies. In 2014, INC. Magazine named Smashwords to its INC 500 list of America's fastest growing private companies. In this episode of The Future of Publishing, Mr. Abboud shares his thoughts on the evolving role of non-bookstore retailers such as Walmart on the overall book industry. With their vast resources, will they have an impact on the ebook market? Audiobooks? Is their share of the overall book market likely to increase? Mr. Abboud brings his unique perspective to these questions and a lot more. Dennis Abboud Dennis Abboud, President, CEO and Chairman of Readerlink, has a rich background in private equity and distribution. He bought Levy Home Entertainment in 2011. Levy was already a significant player in non-bookstore book distribution, and now multiple acquisitions have made Readerlink the unchallenged leader in selling books to Target, Walmart, warehouse clubs, drugstores, and food stores. Readerlink has 3000 employees, four distribution centers, and reaches 55,000 outlets. Steve Potash is an attorney by training, an inventor, an entrepreneur, a visionary and a highly successful businessman. Over the last 32 years, he has built OverDrive into the dominant force in supplying public libraries with digital books and audiobooks. Today, OverDrive manages the largest global network of digital book lending libraries - over 40,000 public libraries and schools worldwide. 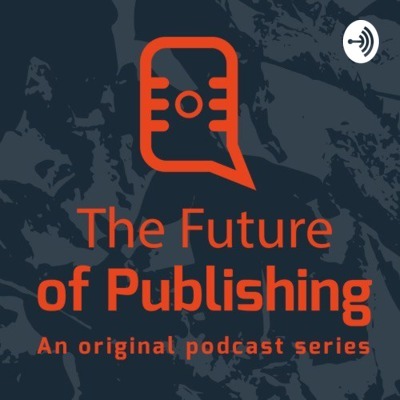 In this episode of The Future of Publishing, Mr. Potash gives us his predictions on the future evolution of ebooks, the changing role for libraries going forward, the potential impact of new technologies such as virtual reality, along with tips on how to thrive in our industry’s highly competitive environment. In this podcast, Mr. Leaver makes clear his strongly-held view that, come what way in the areas of new formats, new devices, new technologies, etc., that to be a successful publisher, you must stay focused on delivering great content. He presents his views on the future growth potential for children's books as ebooks, audiobooks and other formats. He gives a unique perspective as an Englishman who spent half his career running a major US publishing business. In this podcast, Mr. Ingram presents his views on all things digital, from ebooks to digital print to audiobooks. He predicts the growth of the various formats- where are ebooks heading for trade publishing? He discusses how advances in digital printing will continue to shape publishers' future impact of the self-publishing phenomenon on the overall industry. And much more!